How Far is KGiSL Palazzo? 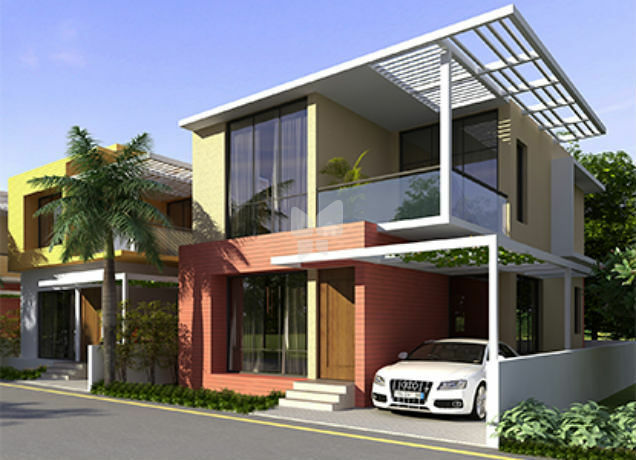 Welcome to an exquisite enclave of homes, the likes of which Coimbatore has never seen before. A luxury residential villa development from KGISL that has Villas designed, built and fitted out to blend perfectly with your lifestyle. KGiSL Palazzo is made up of everything that you expect as a matter of course in a home, from sprawling private gardens and all home automation system, park with elaborate recreational amenities. KGiSL Palazzo is unarguably lucrative at the most promising location of the city, an Integrated area covering an extent of 64553 sq ft with all amenities, hospital, schools, colleges & walk-to-work model to world class IT companies like Cognizant (CTS), Robort Bosch, DELL, M Model, SPI Health Care, Hirotec Engineering, Ugam Solutions, Digital Nirvana, Pace Micro Technology, Planet Online etc. and plan to become targeting to 5000 modern life style homes. The elevation and streetscapes are tastefully designed. Careful attention has been paid to space planning and the villas are designed for 2 & 3 bedroom configuration and have ground+1 upper floor. Earthquake resistant RCC frame structure with 9” thick outer walls and 4.5” thick partition inner walls. Vitrified flooring 2’ x 2’ in living, dining and bedrooms. Ceramic tiles in toilets and balcony. Entrance door with high quality wood frame and solid wooden paneled door. All other doors with rigid frame and membrane flush shutter. UPVC sliding windows with Glazing. Granite counter top with stainless steel sink, 2 feet high ceramic tiles above the counter. Aquaguard provision above counter. All supply and drain lines with premium quality, unbreakable pipes. Modular switches and DB and MCB with IS and ISI Specifications. Provision for a/c point in all bedrooms.